1 How do I use the OpenSim Archive Function? How do I use the OpenSim Archive Function? The OpenSim Archive (OAR) function has existed since OpenSim 0.5.9. The facility does a similar job to load-xml2/save-xml2 in that it saves prims so that they can be later reloaded. 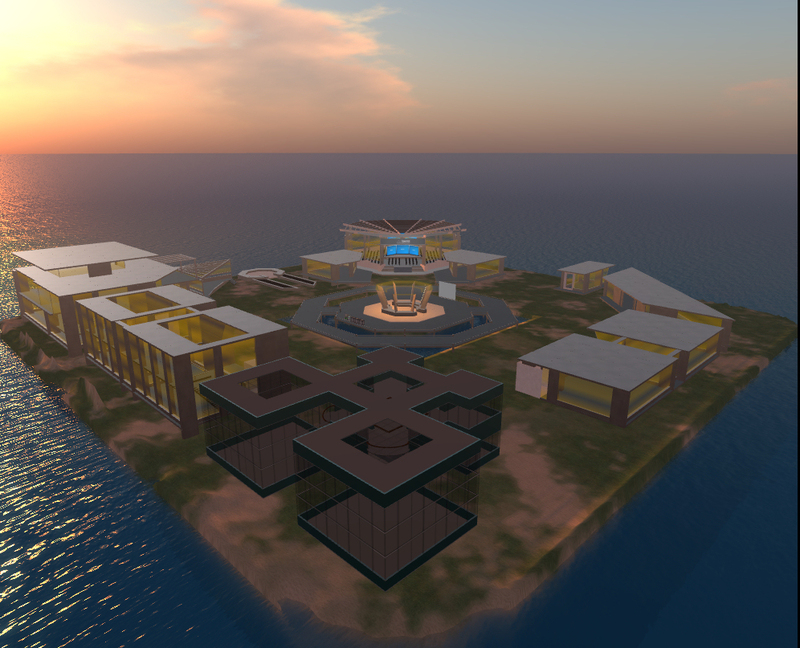 However, OpenSim archives (OAR) go a step further in that they can save all the necessary asset data so that you may fully restore the terrain, region parcel data, the textures of objects and their inventories when loaded onto a completely different system using a different asset database. to save an OpenSim archive. If no filename is given, then the name region.oar is used in the current directory. at the console. The location can be a filesystem path (as for "save oar") or an HTTP address to load an oar directly over the web. If no location is given, then the server looks for a file called region.oar in the current directory. When an archive is loaded, owners will be restored if the relevant uuids can be found in the OpenSim installation's user database. Otherwise, prim ownership will default to the master avatar for the region. cyberlandia.tar.gz - cyberlandia landscape designed by the architect Simone Riccardi aka turboy. Contemporary architecture surrounded with a natural/synthetic context image_1 image_2 (work under Creative Commons by attribution). I'm using .tar.gz because all the zip (and tar) libraries for .net are licensed either under the GPL (with exception) or under the MSPL. Unfortunately, not all members of the OpenSim development team are comfortable with the MSPL, so these libaries are not currently an option. It is also significantly easier to write code to create and read tar archives than zip archives. Due to a possible bug in the Mono 1.2.4 libraries, this feature may cause a debug dump when used (the problem appears to be in writing out a compressed stream). Mono 1.2.6 is okay. Since Mono 1.2.4 is fairly old now, this bug will not be addressed.